How many of you have tried to earn money from survey sites? There are so many out there. The only issue I have is the amount of time it takes to accumulate points before you can cash out. Don’t get me wrong, I have done them and received payment from them. I’ll be writing an article on some of the best ones at a later date. In the case of Impact Health, it’s easy, takes very little time to complete, and a few days to receive payment. It is also absolutely legitimate. A survey that takes less than 15 minutes to fill out pays $25.00. You are compensated for your time via Paypal, Amazon Gift Card, or any other format you choose. Here’s the bonus: For every person who qualifies for the survey and earns their $25.00 payment, so do I! So I’m asking all of my readers to at least attempt to take the survey. If you qualify, you will get your own referral link so you can earn extra money, too. You’re even provided a referral link if you don’t qualify. You can earn money for referrals even if you don’t qualify. If you qualify, you will have to provide a copy of your insurance card (which I did) to prove you have health insurance coverage for the calendar year of 2107. You can only qualify one time. Insurance must be purchased through the market place or privately. Employer provided insurance or Medicaid/Medicare are not qualified for the reward, but can earn from referrals. I like connecting with my readers. Friend me on Facebook. Like my page on Facebook for random freebies. Follow me on Twitter for low entry contests and sweepstakes. Follow me on Instagram for photos of the items I have received for free. Follow me on Google Plus where I share blogging content from some of my favorite bloggers. Some things never cease to amaze me. One thing that constantly amazes me: ME. It was truly my intention to close down this blog simply because I didn’t think I would have enough content to write about and my audience would be limited. Did you know if you don’t renew your domain name someone can take it from you? That wasn’t happening. I’m Freeloading Housewife and I wasn’t willing to give that up. So I talked to several friends who are going to assist me with bringing you some of the best free stuff, travel guides, suggestions for skin care, hair care and cosmetics. We’ll incorporate some user reviews from around the world. So keep an eye out for me and my friends. We’re back in business. My goal is to post something every Monday so make sure you’re subscribed to my blog. I’m sorry for any confusion. With little help from my friends, we’ll be back in business in no time. As of April 1, 2017 this site will no longer be active. I have moved to a self hosting platform and am blogging about completely different topics. Thanks to all y’all the stuck with me through the past year. It’s been a fun experience and I learned a lot. Cheers and all that good stuff. I’d like to introduce you to Johnny Sims. He’s an 18 year old 2015 graduate of Catholic High School in Baton Rouge, Louisiana. He was born and raised there. He’s not going anyplace anytime soon. He’s attending college close to home. Louisiana State University will be his alumni once he completes his degree in Bio-chemistry. His addiction to helping people came early in life. His first merit badge in Boy Scouts was in first aid. It seemed only natural for him to choose medicine as a career choice. He is also a driven young man with no commitment issues. He went on to earn his Eagle Scout. His dream is to become an orthopedic surgeon. He received an injury playing sports when he was 11. His orthopedist was able to get him back to a level of health where he could again enjoy playing the sports he loved. He wanted to be able to do the same thing for someone one day. He works for a company called CutCo. He’s working on earning a scholarship that’s offered to students full time in school. He needs to book appointments, and rank as one of the top 50 representatives in the company from May – August, 2016. He gets credits for doing presentations, and extra credit if someone buys something from him. Even the smallest item their company has for sale will help him. If you currently have CutCo and need your instruments sharpened, Mr. Sims is the man. He’s participating to earn some extra money towards fees and books typical scholarships don’t pay for. His parents, a teacher and a fleet manager, instilled a strong work ethic in this young man. He has 2 siblings. He’s doing his best to set a good example. If you’d like to help Johnny out, give him a call at 225/610-7330. Don’t crank call the kid. He’s working hard trying to make a life and a living for himself. He could have chosen a GoFundMe account, but didn’t. He’s not asking for anything special. He’s doing his very best to earn his way through college. Give the kid a hand up if you have the hand to give. First off, let me apologize for the space of time between now and my last blog post. My personal life has been hugely distracting. But that’s another story. So my apologies. The newest freebie I found is MintVine. You’re invited to participate in polls and surveys. Once your profile is set up, it’s fairly easy and doesn’t take up too much time. 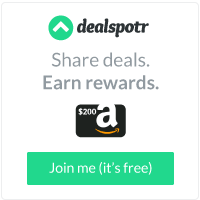 The best part of this little jewel is that the points you earn can be transferred to your PayPal account. So that’s actual cash to add to your budget. It took me just shy of 2 weeks to earn my first $10.00. And nearly 80 other stores. I’m not going to list them here. I want you to go to their website and see for yourself all of the options available. MintVine is a great way to earn some extra cash and it is legitimate. You can start doing some now in your spare time. You can cash in immediately or save the points and cash in right before you get ready to go Christmas shopping. I know. It’s not even July and I’m wanting to talk about Christmas. I’ve been telling the readers for nearly 6 months how to get retail items at huge discounts or full promotional discounts (that means free). I’ve heard from several they don’t have any natural talent at writing and reviewing items intimidates them. So I thought I’d take an opportunity, since Amazon sucked my review into the nether worlds of technology where all things in digital format seeking eternal rest go, to show you an example of what needs to be said. This was originally going to be held as a Christmas gift for one of my grandchildren. I have 6 and by this Christmas I will have one more. However, since the cat’s out of the bag, and so is the tent, I wanted to use this as a teaching opportunity for the unbelievers out there in the land of no way, Jose! It’s true. The free stuff I get is awesome. Just recently, I mailed my daughter a ten pound box of stuff for her new home. My year to date #IGotitFree stuff numbers in excess of $5,000.00. That’s how much it would have cost me if I had purchased it at full price. For that, it’s cost me total out of pocket of just over $100.00 of which I spent nearly zero of my own money. I’ve earned the money elsewhere. That is, after all, what this blog is about. The BEST of the free stuff. Read the other posts on this blog and learn how. Some of it goes directly to PayPal. And here’s one of the neater items I was able to get. TCamp Children’s Kids Tents Play Tent Portable Folding, Indoor and Outdoor Kid Playhouse Tent is probably one of the first items I selected that wasn’t specifically for myself, my husband or my father in law. As I said earlier, I’ve started thinking about Christmas gifts for my grandchildren. I thought this would be perfect for one of them. Here’s a simple review I was going to leave on their product page until technology reared its ugly head. This is the funeral service. Be cautious when unzipping the cute little bag full of fun included for storage. It’s kind of like a snake in a can. It pops out when you least expect it, so suddenly you might jump just a little bit in fright and duck your head in embarrassment when the family laughs at you. Other than a minor hiccup upon opening, it’s extremely easy to set up. It’s folded in a precise manner so there’s very little required. Common sense will see you through that part. If it doesn’t, simply pull the corners apart. It can be used indoors or outdoors. If you choose to set it up outdoors, there are tent stakes to keep it from turning into a kite. This could be a distinct possibility due to the lightweight material this is constructed from. There is a thin lining on the bottom so make sure your outdoor area is clear of any debris that may puncture, poke or otherwise maim little bitty feeties or bottoms. The netting allows for a constant airflow and there’s a little door that can be closed to keep out the insects. Overall, this is a great tent for any toddler and would make a great ball pit. It’s made from thin material so it doesn’t weight much. You could take it with you just about anywhere. My only complaint, and it might possibly be my inability to follow instructions in an appropriate manner, is that for the life of me, I couldn’t figure out how to refold the tent to put it back in its proper bag. If you need a good workout, don’t give up. It could be considered cardio in the extreme. I was able to watch a video showing how it was done. Success was mine only to have the zipper on the bag break so I couldn’t store it like it’s supposed to be stored. I was provided this at a full promotional discount in exchange for an honest and unbiased review. See how simple and easy that was? Send me an email, message me on Facebook, or holla’ on Twitter. I’ll help you get started. This truly is the best of free stuff. I tried a new app called Cash Rewards. It’s fairly easy to use and the rewards are pretty cool. It doesn’t take up much time to use, a few minutes here and there a couple of times a day. My code is 4810993. The neatest thing is every day you can bank 50 coins and come back the next day and withdraw 100 coins. You can do that every 24 hours to earn faster. If you have the time you can spin that wheel all day long to earn anywhere between 4-100 coins. There’s a cooling down period in spinning the wheel The more ou spin, the longer your wait. You can cash out with as little as 600 coins or as great as 27,250. There are some mini games like a slot machine to play using your coins to try your chance and earning more coins. Overall, this is another easy way to earn gift cards. Make sure you read some of my other posts to get the best free stuff out there. Each box had different the products & samples are different and a surprise gift. I love getting free stuff. I get free stuff from all over the place. Reviewing products is the best way to get free and greatly discounted items you may need in your life. I can’t drink wine because of medication and my friend Jennifer doesn’t like it. But we have other things in common. She loves The Dave Mathews Band. She’s a crafter, too. Check out her Etsy store and see what she can make for you. I purchased this for my husband since he is the wine drinker in the house! I know, I know!!! What??? A woman that doesn’t drink wine? Yes… sadly, that is me!! What I can say is that he loved it! it is great quality and sturdy … doesn’t leak when pouring (that is my favorite feature!). It comes apart nicely and easily for cleaning. I love the case so I can store it safely and it will stay clean. I liked the design of this one… different than others I have seen because it has the air tube. I will honestly say I am quite impressed that it isn’t just the same kind of aerator I have seen before. We never thought aerating wine was necessary but after using this one hubby definitely won’t drink another glass of wine without doing so. He definitely notices the difference when using an aerator. I received this product at no cost in exchange for my unbiased and honest feedback. This seller has no influence on my review whatsoever and all opinions are my own. As you can she, this product is great for people who love wine. Give it a shot. It’s sold on Amazon. Neither one of us has a monetary dog in this race. If you choose to buy the only one who gets any money is the seller.